An interview with Clay Nikiforuk. Claire gets an eating disorder. The longer description is that we meet Claire, a quirky 23 year old artist, her boyfriend, her boss, and a dozen other characters as Claire finds herself surrounded by pressure to be thin – in order to be hirable, to be perceived as smart and edgy, and, most importantly: to be healthy. What follows is a kind of comedy- of -errors-meets-nightmarescape of her earnest efforts to get healthy while keeping her sanity. As we know from the short description, unfortunately the sanity part doesn’t last long, and neither does the health. But as dire as her situation gets, we get to see a glimmer of light at the end of the tunnel. In your research about our obsession with “thinness”, what was the fact you discovered that surprised you the most? One of the most interesting facts I found about thinness was that it’s not the best thing for our health, but we’ve culturally got a causation/correlation problem where thinness is seen as a necessary condition for being truly healthy. Thinness has become not just a standard of beauty but a personal betterment mission, and I think that’s one reason why men and boys are feeling the pressure more than ever, too. Thinness has it’s own set of risks, just like obesity, and is, in itself, no guarantee of health and longevity. But one look at any health-related resource and you wouldn’t guess it. 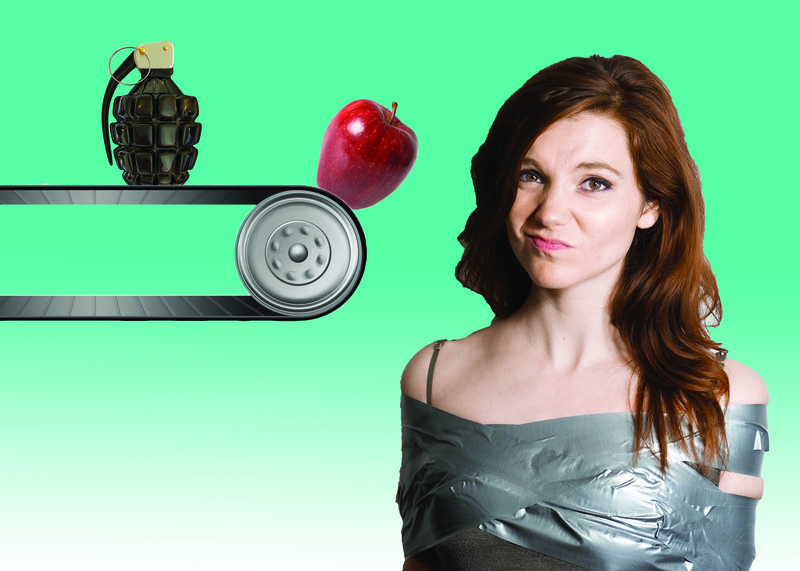 The Dysmorphia Diet tackles some pretty tough themes, but in a comedic way. What do you want audiences to walk away from the show with? Most importantly to me is that audiences walk away feeling not so alone. Managing thoughts about our bodies and what they “should” be is typically a private affair, so to watch me on stage thinking out loud all the way through childhood logic to full-blown adult eating disorder can provide some solidarity for people who know exactly what I’m talking about, and explains a lot to people who don’t.